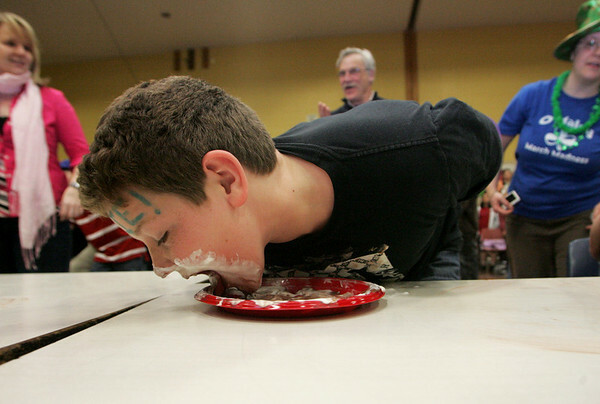 Gloucester: Seventh grader Josh Lane cleans his pie plate clean during a pie eating competition as O'Maley Middle School celebrates March Madness Wednesday afternoon. After three rounds of pie eating students also participated in a tug of war between grades. Mary Muckenhoupt/Gloucester Daily Times.